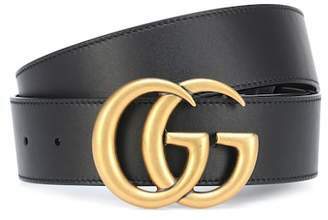 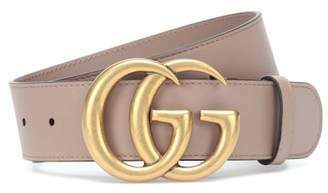 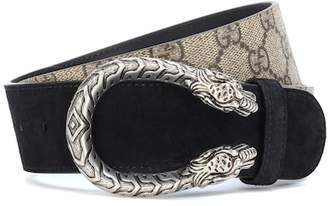 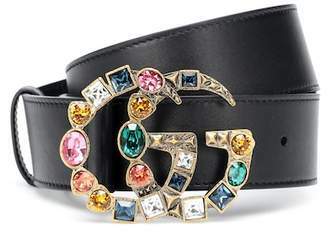 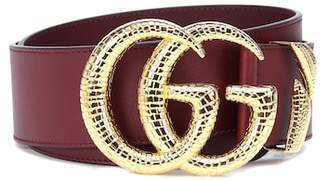 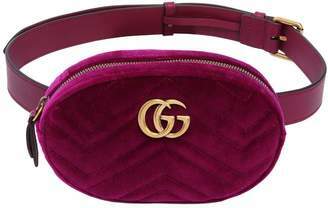 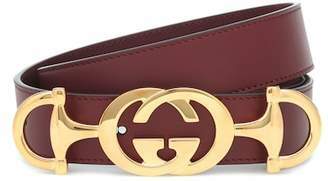 Gucci - Gucci's antiqued gold-tone metal GG plaque is the hallmark detail of this black leather belt. 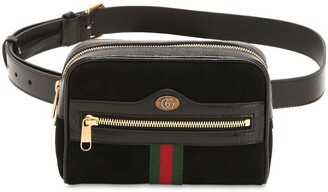 It's made in Italy with black lacquered edges, and secures with a hook-fastening. 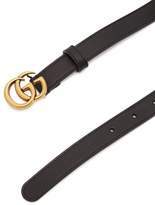 Let it define the waist of a cardigan and midi skirt for a casual lunch date.